IF YOU ALREADY OWN AN EDIROL R-09 YOU MAY STILL PURCHASE SOME OF ITS ACCESSORIES FROM OUR R-09 WEBSHOP BELOW. Is it a men's electric shaver? 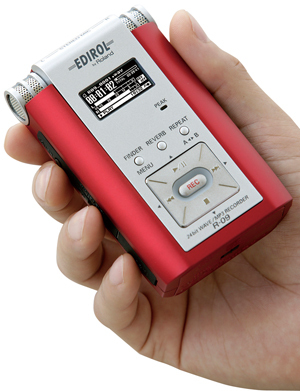 No, it's EDIROL's red-hot portable recorder: the R-09. 24-bit uncompressed recording and a built-in stereo mic in a streamlined, stylish, and affordable package. 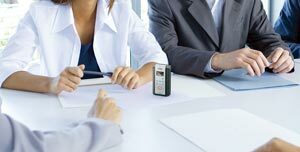 It’s ultra small and looks like a gadget, but the R-09 is a reasonably serious solid state recorder for the price. You can capture source material at a 24-bit resolution with a choice of 44.1 or 48kHz sample rates (uncompressed WAV). It will also record and play back in MP3 format (up to 320kbps). Once recorded, files can be monitored through the R-09’s headphone jack and/or exported to a computer via USB. The R-09 is good for recording live music events, recitals, and rehearsals. It’s also handy as a songwriter’s sketchpad, ensuring that no moment of inspiration is lost. But the R-09 has many valuable uses outside of the music world as well. Students can use it to record lectures; broadcasters and journalists on a budget can throw away their cassette and MD recorders and use the R-09 for their interviews; and it's great for oral history interviewers, and the like, too. To record audio into the R-09, you can either use the internal stereo microphone or plug in an external mic via the R-09's mini-jack input socket (we recommend the Audio Technica PRO24 or the Edirol CS-15). Use the recorder's dedicated input control, mono/stereo selector, low-cut filter, and gain boost to get the best result. You can also plug the output of a mixer or other audio device into the R-09's line input min-jack socket. The R-09 contains the world’s most used effect: reverb. Whether you’re listening to WAV or MP3 files, you can route the R-09’s playback through its internal reverb processor, immersing it in lush, user-controllable ambience. 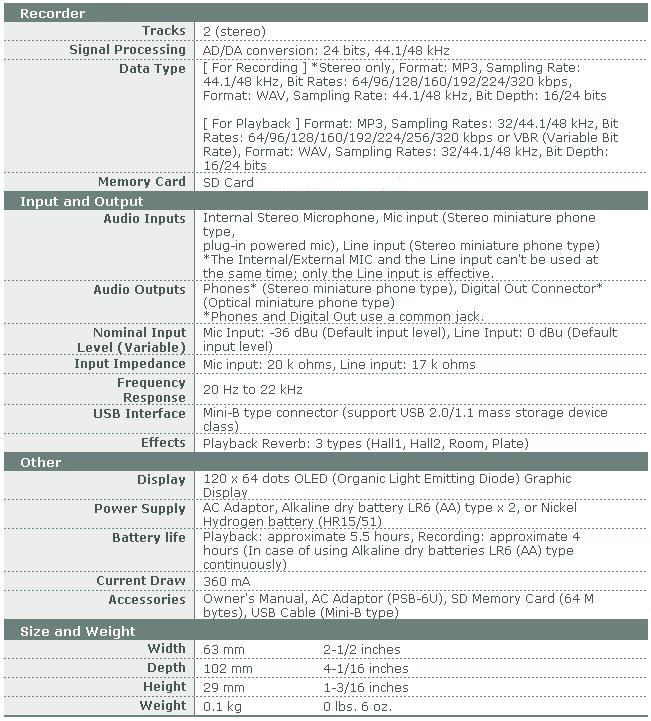 In addition to its headphone output and external audio mic/line inputs, the R-09 can connect to the outside world via USB 2.0 for importing/exporting WAV / MP3 audio files directly to the computer. A digital output jack is also provided so you can stream audio to digital equipment such as digital speakers or DAT/CD/MD recorders.